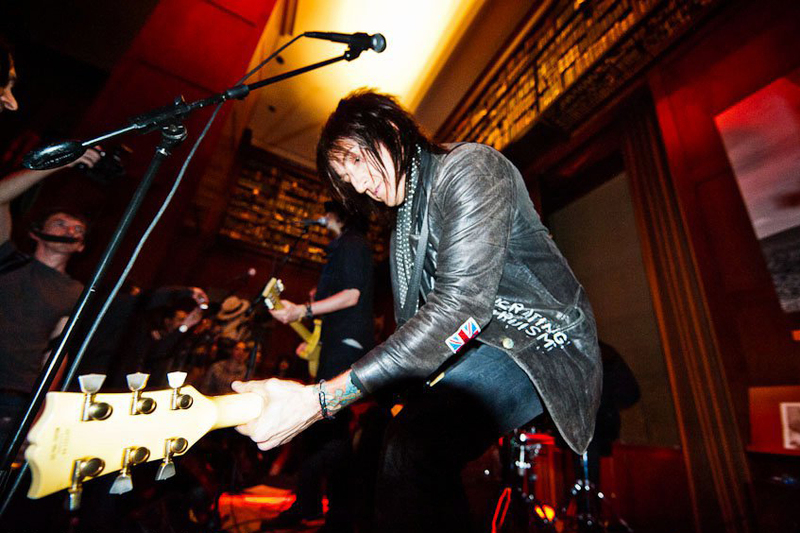 The Compulsions, featuring Richard Fortus (Guns N’ Roses) on guitar, Sami Yaffa (ex-New York Dolls) on bass and Frank Ferrer (Guns N’ Roses) on drums, blew the roof off a packed house at New York City’s Hudson Hotel on Thursday, April 28. Front man Rob Carlyle started The Compulsions nearly ten years ago with Ferrer and Fortus on early recordings however Fortus had already joined Guns N’ Roses and Ferrer was soon to follow. With Guns N’ Roses currently inactive, The Compulsions blasted through eight scorching originals including new songs “Eat My Dust” and “Hired Gun” from their forthcoming Beat The Devil LP. In a recent interview with rocksalt.mx, Carlyle described the new record as sounding like "Sticky Fingers or Some Girls [both by The Rolling Stones] but heavier and from modern day New York City." Three independently released Compulsions EPs have received tremendous critical acclaim including “coolest band in the world” from Classic Rock magazine.